in AUD to GBP, AUD to USD, GBP to AUD, USD to AUD. The Pound Sterling to Australian Dollar (GBP/AUD) exchange rate came close to reaching its lowest level in 3-months on Tuesday as the ‘Aussie’ took advantage of signs that the US Federal Reserve will not hike rates in June and as concerns over the political situation in the UK weakened Sterling. The Australian Dollar shrugged off disappointing economic data released in China, which is Australia’s largest trading partner. Following the release of the report the ‘Aussie’ briefly dipped but increased expectations that the Federal Reserve will not begin to hike rates anytime soon outweighed the disappointment. According to the HSBC Flash Manufacturing Purchasing Managers Index, factory activity in the world’s second largest economy fell to an 11-month low and back into contraction territory in February. The index fell from a reading of 50.7 to 49.2. In a PMI, any number below 50 indicates contraction whilst a number above indicates expansion. The currency has rallied by 4% against the US currency since touching its lowest level in six years in February. 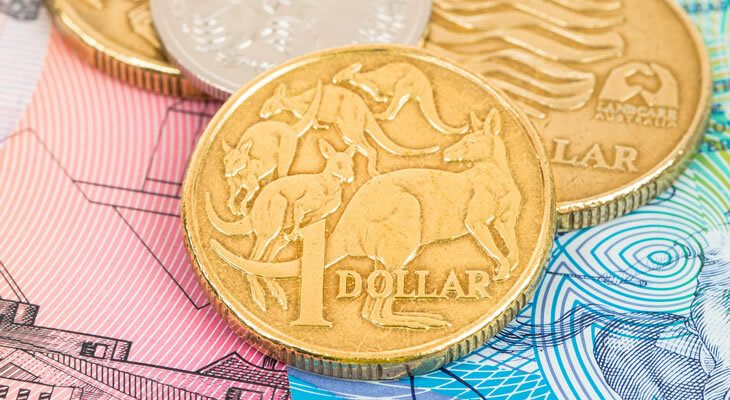 The rise in the ‘Aussie’s’ strength will be a source of frustration for the nation’s central bank who has stated that it wants a weaker currency in order to help support growth and exports. The weaker US Dollar almost means that commodity prices have begun to edge higher, another point of support for the Australian Dollar. ‘You have this bullish trade that’s been happening since the Fed announcement on Wednesday. In the absence of information, you probably continue to drift higher. The path of least resistance is up at this point,’ said an economist in an interview with Bloomberg. The Pound Sterling meanwhile remains under pressure against the majority of its most traded peers, as investors grow jittery ahead of the May 7 general election. With no clear winner expected the outcome of the vote could lead to a period of political uncertainty, which could have negative consequences on the UK economy. Weaker than forecast Industrial Trends Orders data released on Monday also put pressure on the Pound as a string of softer than forecast data releases is causing investors to doubt that the Bank of England will hike interest rates this years and maybe delay raising rates until the second quarter of 2016.